Texans are having nightmares of a Niger Delta nature, and while they have always been the friends of Big Oil, TransCanada is changing the rules of the game in a legally-aided land grab that will test just how tough Texans are. Oil spills, the destruction of agricultural communities, impoverished farmers … this is what Texans fear as TransCanada paves the way to build its 1,179-mile pipeline to transport Canadian tar sands to refineries in south Texas. The lawsuits against TransCanada are piling up to the dismay of the Keystone XL pipeline project, which has been beleaguered by political, socio-economic, environmental and legal woes at every step from its US origins in Montana to its final destination point in south Texas. No one thought Texas would be part of the problem: Texans love their pipelines. Why the change of heart, then? The simplest answer is that Texans love their pipelines because Big Oil has been paying big bucks for the privilege of running them through Texas farmland, but TransCanada is bullying them out of their fair share. This is how it works: TransCanada makes an unacceptably low offer for the land it needs; the landowner rejects the offer; TransCanada gets the land condemned in court; then it legally acquires the land for a fraction of its original offer. Condemning land is not a new tactic by Big Oil, but while US oil companies have traditionally kept this to a minimum, TransCanada has taken far too much advantage of this legal loophole to get what it wants. 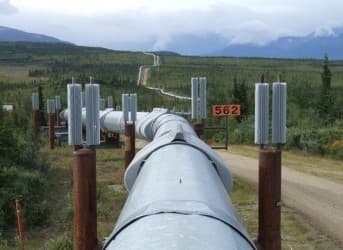 According to CNBC.com, the Canadian company has so far condemned over 100 tracts of land out of the 800 tracts it has acquired for the pipeline in Texas. Companies like TransCanada who enjoy what is known as “common carrier status” can demonstrate to a US court that their construction projects are for the common public good (it’s called eminent domain). A landowner can of course appeal such a condemnation in the Supreme Court, and force the company to prove its claim more stringently, but in the end, Keystone XL generally wins. For the most part, these appeal processes simply delay the inevitable. First of all, Texans point out that TransCanada is a foreign company that does not feel obliged necessarily to use American steel for its pipeline construction. According to media reports, a large percentage of the steel used for construction is imported. They also balk at the idea that much of the tar sands oil refined it Texas will be exported via the Gulf of Mexico. If the US is going to export its crude oil that should mean that it is producing more than it needs. In other words, the US must achieve oil independence before it starts exporting oil; otherwise it’s moving away from rather than toward independence. Every good Texan knows this. The US is producing about 6.2 million bpd this year, and consuming twice that. To the Texan mind, foreign-company plus exports does not add up to a reduction of US independence on foreign oil. It only adds up to revenues for TransCanada and Big Oil. Also sitting uncomfortably at the back of the mind is the chance of an oil spill and the prospect of Canada’s dirty tar sands damaging their farmland and water resources. In 2010, a pipeline owned by Enbridge ruptured, spilling some 800,000 gallons of tar sands into the Kalamazoo River in Michigan. A year later, the clean-up is ongoing and the damage vast. Is there in fact any national interest here? Yes, but if most the refined oil is slated for export, the only “common good” is the creation of new jobs. What is most interesting is that Texans will end up making Keystone XL a bipartisan issue. Previously, anyone who balked at Keystone XL environmental and socio-economic risks was a tree-hugging hippie. Anyone supporting Keystone XL was a Big Oil “yes man” with no respect for the environment. With Texans now up in arms over Keystone XL thanks to TransCanada, the debate will metamorphose into something more rational. The Texans, in their own unique way, will bring legitimacy to this debate. After all, no one could accuse them of being tree-hugging liberals. Texans want Keystone, they want pipelines, but they won’t stand for being cut out of the “common good” equation. To this end, some landowners are opening the gates to activists to stage protests, and this has so far ended in a handful of arrests. And it is important that this debate is legitimized to ensure that when Keystone XL goes forward (and it will) it goes forward with a least a modicum of respect for the “common good”. Not only are Texans learning something new about Big Oil, but TransCanada is learning that Texans are proud and will command respect in the end. Hopefully, this can be done without another Alamo or an armed Texan equivalent of the Movement for the Emancipation of the Niger Delta (MEND). But if worse comes to worse, and TransCanada persists in its bullying, Texans are not averse to a bit of brawling.